Rachael Rabbit: How do you work? ... I refined the drawings some what ... ... then I cut out all the little bits and sew them all together - hoping it looks something like I had planned! 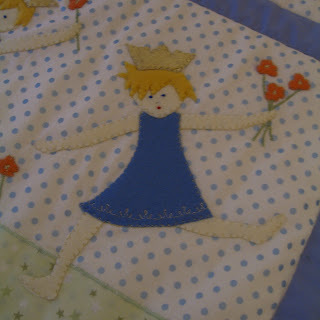 The story is that the little Princess is happily dancing through the grass picking up flowers as she goes. 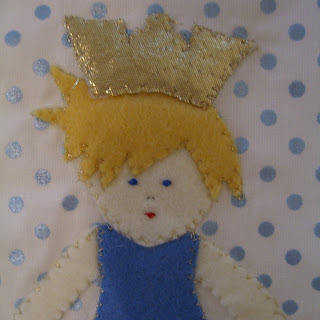 I used gold and silver thread to add the sparkle as well as a little gold material for her crown. And worried that I hadn't used enough light green in the piece - I used some lovely white and light green fabric for the backing. 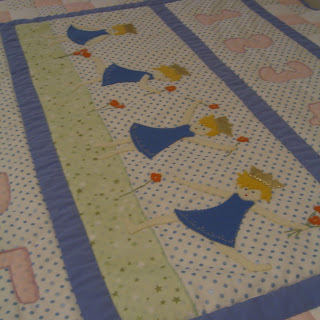 That is just beautiful, what a lovely way to create a quilt. Just gorgeous - thanks for sharing your design process! Great post! Your little quilt has turned out beautifully, & you have opened up a whole new world of possibilities to me - I have bookshelves full of wonderfully illustrated children's books. Well, there goes the housework today!! Wow! that's gorgeous! makes me want to dust off my sewing machine and actually use it for something other than hemming pants! Well obviously not nearly as well as you do! This is fantastic! Thanks for sharing! 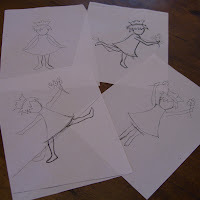 That is beautiful - love the little dancing fairies! 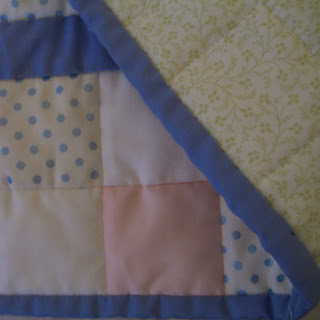 What a wonderful job Rachael, some little girl will just love to snuggle under this! Oh, goodness. That is one sweet quilt!! Thanks, I have been looking at how different people work to see if I am as inefficeint a I think I am! 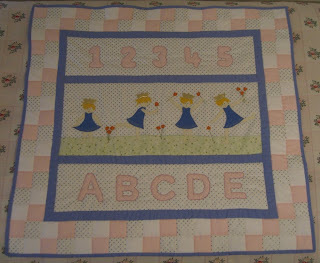 What a fun and adorable quilt! I have not heard of this story, but is sounds very fun! thank you for sharing your process. 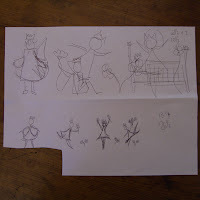 it is fun to see how other artists work out their ideas. lovely story. i discovered it years ago when i used to teach pre school. 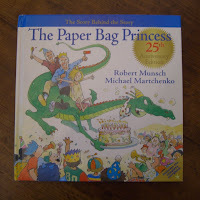 Oooh that's one of our favourite books! what a great model that princess is for our dear girls! I work in a very ad-hoc, chaotic manner. I carry the thought or picture in my head, like Snufkin carrying a tune under his hat, I mull over it, it grows and shrinks and blossoms and then, it's time to tumble out and I start drawing and chopping and arranging as I go! I often think it would be marvellous to be more organised - but perhaps then it wouldn't work! 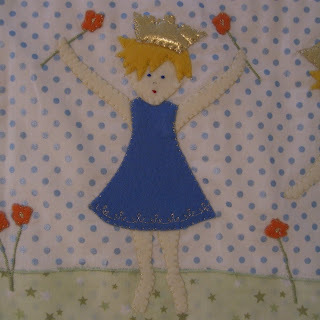 :-) Love the quilt - just my kind of applique! thanks for letting us in on your "process"
I love your little princess! She has such a sweet little face! I don't have a method for working these days. I seem to spend all my time reading blogs! Not as creatively as you. What a talent you have. I hope these designs are going to end up in a book someday. Far too good to keep to yourself.